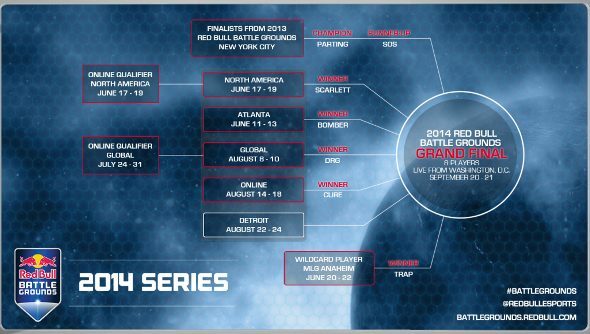 Red Bull Battle Grounds Detroit kicks off today after last month’s event in Atlanta. Once again, 128 StarCraft II players will send their forces against each other in hopes of making it to the final in Washington DC this September. Seven players have already secured their slots from the previous Battle Grounds, including last month’s Atlanta winner, Choi “Bomber” Ji Sung. You can watch this weekend’s fights below. This is the final tournament before the finals in DC on September 20th and 21st, so these battles will determine who grabs the last spot. No pressure, then. Among the 128 hopefuls are David “Walshy” Walsh, a former pro Halo: Reach player who has come out of retirement for this one tournament; Kim “viOLet” Dong Hwan & Choi “Polt” Seong Hun, who were the first StarCraft II players to get athlete visas from the US government; and Sydney, Australia’s Olivia ‘Livibee’ Seeto, who is starting to make a name for herself in US tournaments. Have you lovely lot got any favourites?